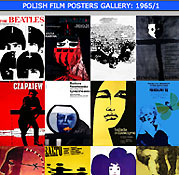 As much as I'd like to (eventually) provide all available information on all Polish film posters ever printed and every artist who ever designed one, my emphasis is on the best period of the mid 50s to early 70s. 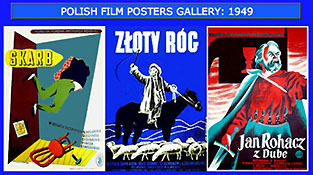 Polish film posters practically ceased to exist at the end of the 80s, having been replaced by standard issue foreign ads. All these are absent from the database. 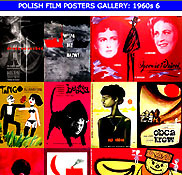 The site is about posters rather than films, so my primary concern is to provide the most complete information available on each individual poster : its designer, date, existing versions and variations, circulation, rarity and value. I also tried to identify original films and find basic info for each title. 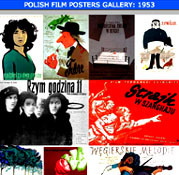 Posters could also be dated by censor codes - a series of numbers printed at the (usually) bottom edge - very reliable method if applied to the Nowogrodzka 64-A (Warsaw) printing house output, but useless with others (Lublin, Gdansk, Kielce). Then there are various albums and show fliers, official artist biographies, etc. etc. Still, authors of 168 posters remain unidentified (listed in database as "Unk"(-nown), and 45 others (pre-war) as "Anonymous". Some more are missing such basic data as the country of film production (7), year (2) and original film title. Another 34 are dated by approximation. If more than two images by a particular artist are available, the "bio" page has a link to a sample "gallery" of all available images. 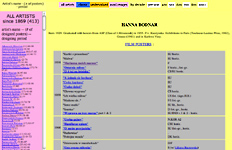 To see a full size individual image, click on highlighted titles from the bio page table. 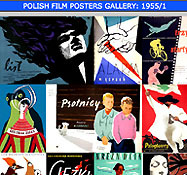 - gallery pages are divided by years, decades (with groups of posters by different artists from a given period), as well as "classic" and "undervalued" categories. The yearly section ("1956", "1963", etc.) could be a good place to see the trends for a particular time. 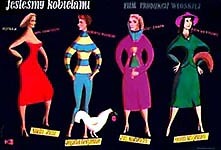 The decade sections ("50s", "60s", etc.) are more of a 'best of' presentation. The "classic" is the 'best of the best' and "undervalued" is a self-explanatory, albeit highly subjective category. 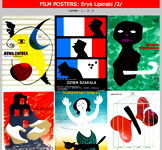 - country : for films from a particular country, or - in case of coproductions (especially of frequent French / Italian) - the film's original language. - genre : drama, comedy, animated, adventure, western, costume, sci-fi, action/thriller, horror, documentary and war. - the other browsable sections : directors , titles (Polish and original) & cast are limited in scope to the most famous names/titles ; for a complete search by these and other criteria (producer, release date, poster date, etc. ), please use the database. 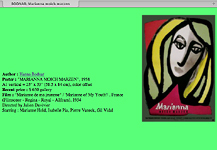 - wanted / for sale : the most current list; in general, any of the titles in bold print from artists' pages are negotiable. 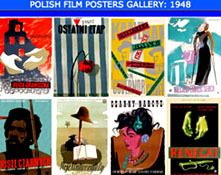 A lot of patronizing drivel had been written about the 'Polish School' of poster design being a 'product' of a 'resistance to Communism' or some such (and by extension, of an overwhelming desire to breathe free under learned guidance of Drumpfster, Leader of the Free World). That view, espoused by Western writers who don't know any better, and Polish ones (who should know better) has been more or less omnipresent. No matter that the idea of art as an expression of political circumstance is par excellence a classic communist one. 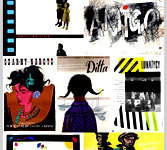 In fact, quite the opposite seemed to happen : free from commercial stranglehold, these artists produced brilliant works over an extended period of time. A lot of talented people found themselves in the right place at the right time. Like any artistic movement (or 'school'), it had its own dynamics, peaks and valleys. Indeed, some of the most accomplished works were political (pro-socialist). 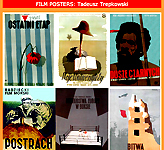 And now the fact that Polish film poster is dead (and had been so since 1989 when freedom dawned, and more to the point, film distribution was privatized) is further evidence of that. The censorship debate seems irrelevant; aside from some agitprop films, it's hard to argue that the men with scissors had much to concern themselves with. One exception was the 1948 to 1954-55 period, when actual presentation mattered and "modernistic" style was frowned upon; even then however "social-realist" images were few and far between. The results this hands-off policy produced were often brilliant, sometimes dreary and self-indulgent, often mediocre, but seldom boring and - as a rule - deeply personal. 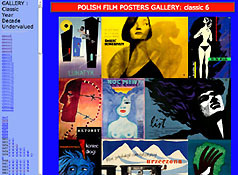 The essence of Polish poster school was a desire to create a graphical synthetic view of an idea expressed by the advertised event. 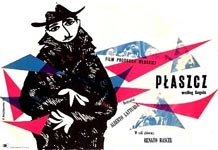 Waldemar Swierzy summed it up so : "Here's how I understand the idea of ​​the poster: ... the theatrical poster has to be a synthesis of two hours, because it can not be told as in the theater, where we have the two hours sitting in comfort in the warmth. The poster is looked at in the passing, in the rain, in winter at the bus stop, in the crowd, so it must be only a signal, suggestive character for the passer-by to register ... "